Plastic Whistle at home . They'll get thistle away. We will get sheep or hearts away. If we beat Killie. Terriers at home is our ideal draw. 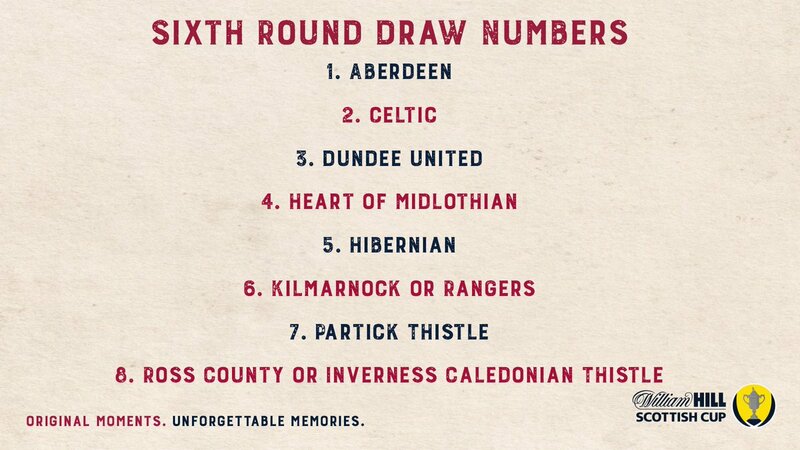 I think we’ll get County/Thistle at home. *If we beat Killie obviously. It’s about time the Yahoos has an away draw and we got a home one . They really know how to promote our game!Prime time draw! Home draw first and then don't care who we get. Don';t want them getting half an Ibrox gate. Sheep away. Who'd a thunkit. Two chaps that've had their hands on this trophy, one of whom also had his ears modelled on it! If we are to win this cup we are going to have to do it the hard way. Do we get 20% of the ground then, or can the polis put a stop to it? Fck off yet another away tie . Tims away to hibs at least. Dolly away. Och well. Just make sure we put them out this time. Looks like we’re going to have to win this thing the hard way. Dolly away. Who did Celtc get at home this time? Will we get a bigger allocation for Pittodrie then?